Remember your special horse show moments by purchasing a digital image taken by one of Saddle & Bridle's many photographers. We offer digital files only; we do not offer prints. All purchases are ulimited use. Please use the "Notes and special requests" section to let us know what photo you would like (e.g. "photo 34 in the St. Louis National Charity 2018 album on Saddle & Bridle's Facebook page") and please provide an email address to which we can send the file. 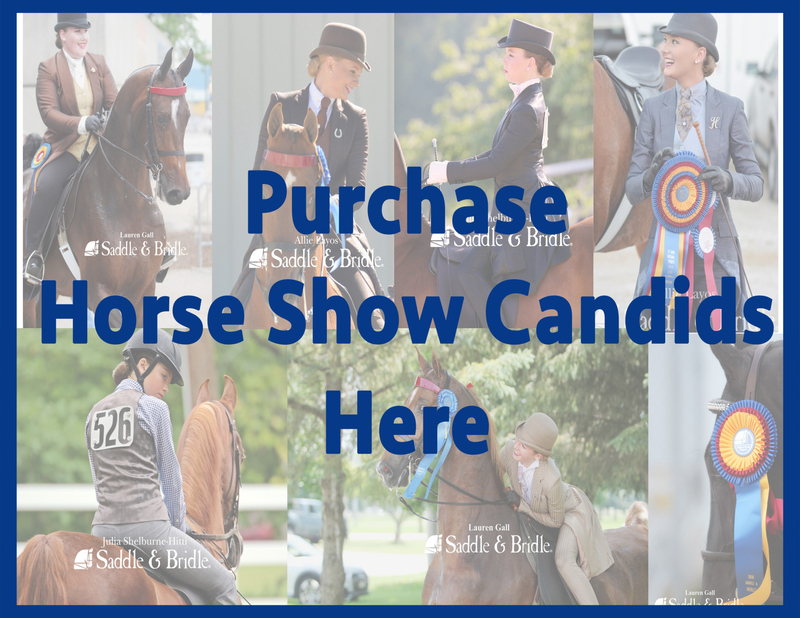 If you are unsure how to direct us to the photo, email allie@saddleandbridle.com.